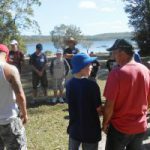 Bonding fathers and sons has a special place at St Peter's Catholic Primary School, Caboolture. ROBIN WILLIAMS reports on their annual Boys' Weekend that is changing the lives of families. 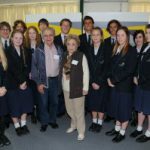 Brisbane Catholic Education has facilitated the staging of an exhibition on the Holocaust to help school students realise the importance of good people standing up in the face of bad situations. ROBIN WILLIAMS reports. 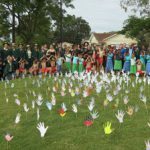 BRIGIDINE College, Indooroopilly, had a special guest for this year's annual Sorry Day service. 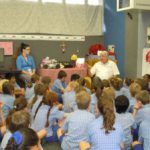 HELPING homeless people has been on the minds of many Catholic school students in Brisbane archdiocese this term. 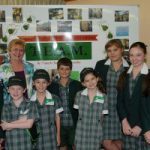 BEING sustainable is something they take seriously at Our Lady Help of Christians School, Hendra. 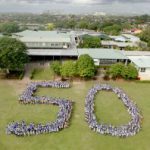 ST Dympna's Primary School, Aspley, is celebrating its golden anniversary this year. 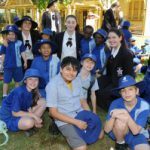 MASS at St Stephen's Cathedral was one of the high points of a whole-school excursion by St Brendan's Catholic Primary School, Moorooka, to celebrate their saint's feast day. 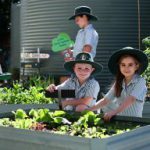 THE inaugural Brisbane Catholic Education Sustainability Conference is expected to inspire more schools to deepen their commitment to sustainability and ecological conversion. 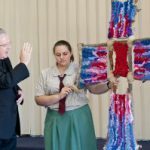 Archbishop Mark Coleridge blessed a unique retreat cross made by Year 12 students at Chisholm College, Cornubia, during a recent visit to the school.